Kissing Shakespeare by Pamela Mingle. Audience/Genre : Young Adult/Romance, Mystery, Historical. Publication : August 14th 2012 by Random House Children's Books. I can't decide between two and three stars. Kissing Shakespeare is about a girl named Miranda Graham who is suddenly transported to the sixteenth century by Stephen Langford - one of the cast members of the play that took place that night and in which she believes she performed terribly - in order to 'seduce' William Shakespeare so he would not give up his love for writing and acting because if he did, the future would forever lose its greatest literary figure. I had heard rather good things about this book so I was looking forward to reading it and I admit, the plot was intriguing. I wondered how the author managed to blend in the characters of the past with those with the future. But, to be honest, when Stephen converses with Miranda using words like 'God's breath!' and 'wench' while she retaliates with 'I wanna' and 'Oh, sure', it was strange and even kind of funny. If the humour was intentional, it worked. If not, it took a bit of getting used to. I am not very familiar with all of William Shakespeare's work; I've studied a couple of his plays as part of my English course and like anyone else, I deeply respect him. And judging from his plays, it looked to me like Shakespeare was a rather cynical young man. In the story, he's about seventeen and even though he's only a teenager, I could not help but feel that even at that age, Shakespeare would have been cynical. So I would have appreciated it a lot more if the author had given him a bigger role, made his character more defined and brought in more of the cynicism, witticism and intelligence. Instead, most of the time, we see him torn between choosing God and his passion. I guess my characterization of Shakespeare clashed with that of the author's and that made the story a little less interesting to me. But I did like that he was a flirt. The relationship between Miranda and Stephen was, again, a little vague. When they talk, it's mostly about the seduction plan, which is understandable. Stephen's late fiancee has at most, five lines dedicated to her. He seems to have no difficulty in falling in love with Miranda since it is later revealed that he fell in love with her the moment he saw her. If the author had given more importance to perhaps, say, an internal conflict in him concerning his late fiancee and Miranda, it would have been a better read. In the end, everything falls into place all of a sudden. As for Miranda and Stephen, well, there couldn't have been any other way to end the book. 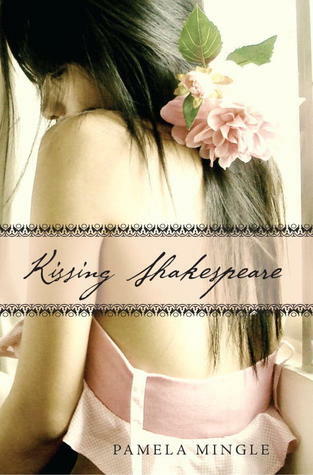 Kissing Shakespeare has a promising plot but the blurb is a little misleading. There isn't much of seduction - something I was REALLY looking forward to - only a lot of spying and making assumptions. Mystery in a romance novel isn't unwelcome but if mystery's what's in most of the book, then there's no point in calling it a romance novel, is there? I've read a similarly plotted amateur book which had a truly terrible plot and as soon as I saw this I was thrilled thinking it might solve all my unfulfilled hopes from the last but it sounds as though it has the same problems, thanks for the review! Loved your review Anjana!! I will surely read it ASAP darling!! Recently read this cute book called as Beaten by Bhagath by author SV Divvaakar. It was a fun read. Light, cool & yet sent shivers down my spine when I read the reality about the publishing industry. If you have some spare time please do read this book sweetheart! !